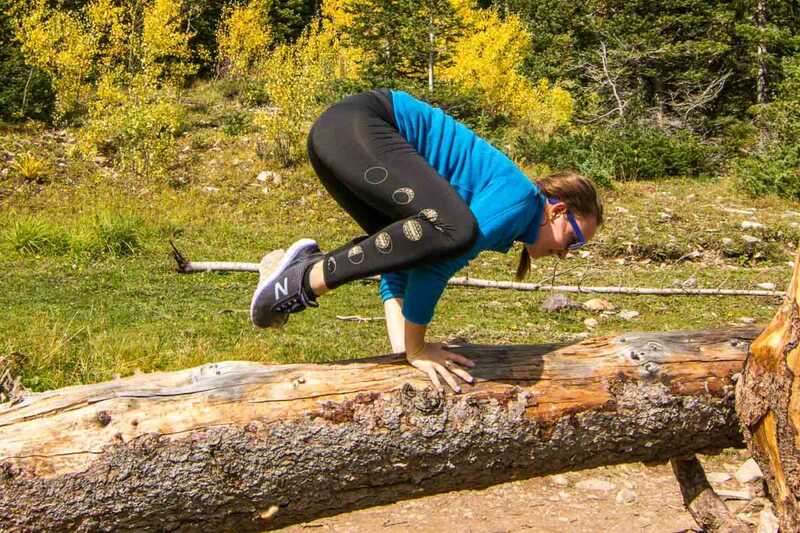 Spontaneous yoga in Colorado might be wiser with travel insurance. This series on global travel insurance is sponsored by Allianz Global Assistance, our provider. But we’ve selected the topics and we’re writing from personal experience. Feel free to comment with your questions and related stories. We did our fair share of research before deciding on our annual travel insurance policy with Allianz Global Assistance. As we reviewed all the options, we could see that young adults should be as eager–or even more so–to insure themselves on their holiday travels as the older generation. These travel insurance choices and tips can be useful to young travelers, and the rest of us, too. Travel insurance comes in various sizes and shapes, so travelers don’t have to buy more than they need or pay more than they want. First time buyers will probably choose a Single Trip Plan (rather than an annual plan like we use). Single Trip policy levels range from car rental insurance only, trip cancellation only, medical and evacuation services only, to combinations of these options. To find a quote and see best options, users will simply need to provide their age, home state, and whether their travel will be domestic or international. This makes great sense for those who might not have good car rental insurance tied to their credit card, or for people reluctant to add rental car insurance to their regular auto policy. For $9.00 per day you get up to $40,000 in collision/damage waiver. The beauty, too, is knowing all the details in advance. We hate being rushed through the options at the car rental counter. With this coverage, you can decline the add-ons, hop in your car, and go. While this might not be as critical for retired folks with more flexible time, younger adult travelers have already jumped through all sorts of hoops to arrange a vacation and have little leeway for changes. Taking days off of work, saving money for the trip, all the time spent booking the travel, and outfitting for the specific destination: travel requires lots of preparation and it can be a huge burden when trips are cancelled or interrupted. Both financially and logistically, a policy that can assure compensation for cancelled trips goes a long way. What if, for example, your airline leaves you in Mexico rather than sending a replacement plane when the first is waylaid? A refund of your fare may only be a fraction of the cost to completely rebook on another airline. Sounds like a good time to have trip cancellation insurance. Travel insurance or offerings to the gods? You decide. Families with young children know that travel costs add up, and the factors contributing to interruptions and cancellations increase, too. With Allianz Global’s One Trip Prime Plan, children under 17 are covered for free when traveling with parents…or grandparents! When you are already in a celebratory, vacation mode, it doesn’t take much to be convinced to participate in that ‘once-in-a lifetime’ activity. But even a tame game of beach volleyball can mean an injury that needs medical attention. Illness and injuries shouldn’t also be a financial hardship; that’s where the Prime Plan or even a low cost One Trip Emergency Medical plan helps. Our advice is to look for a policy that has emergency medical transportation in case you need to be evacuated or go home for further treatment. Be aware that while your plan may cover an injury from a misstep, it isn’t going to cover riskier activities like zip-lines or hot air balloons. Have fun being out from behind your desk but be smart by knowing your insurance coverage. Bikes, skis, golf clubs. What all might you haul on your trip? How do you want to ensure that lost or damaged luggage and gear doesn’t ruin your holiday? Try a plan that offers compensation for baggage delay, loss, or damage, like the One Trip Premiere Plan. No matter your age or your propensity for risky behavior, it pays to read all the details of a policy. If bungy jumping or helicopter rides aren’t covered, for example, you’ll want to know that in advance and plan accordingly. Every trip comes with the potential for problems, whether they be minor irritations or major catastrophes. The main thing is to check out your insurance options in advance and find a reasonable plan that is affordable but effective for you. Then go forth and have fun on your holiday. If you like this post, pin it! Or share this story using one of the social media buttons below. Travel insurance is certainly something every traveler should look into. I have an annual policy for medical evacuation and other features. I had a couple near misses (illness and falling off a train — a story for another day). I decided then and there to sign up. Your information is very valuable for all travelers! I’ve gotten travel insurance (at some level or another) a couple of times, but haven’t been really serious about it. I know, I’m pressing my luck. Appreciate the info on Allianz. I know of them as one of the best, but haven’t looked too deeply. Thanks for the nudge. We have all-year travel insurance, which I recommend if you travel often, just because you don’t have to think about it. However, read the small print carefully. I ended up getting payment turned down for a medical test because I didn’t check ahead with the insurance company. Their doctors didn’t think the test was necessary while the doctor where I was (Seoul) did. So if it’s not an emergency, contact them first!